When it comes to antivirus protection, everybody would prefer a solution that works so well and so independently out of the box that they can forget about it until its license expires. At the same time, they still expect impeccable protection. As a matter of fact, we share the same opinion and expectations, which is why our security solutions are fine-tuned to provide an optimal balance between hands-off user experience and stringent protection. Nevertheless, it may happen that your opinion about an application or a website differs from that of your antivirus. You may know an app or a website is fine, yet there your antivirus is, disagreeing with you, blocking the activity or popping up a warning. If you are absolutely sure about the safety of the link or the application, but your antivirus keeps arguing with you about it, then you can force-add the application or link to the exclusions list; then the antivirus will bother you no more. Just keep in mind that by forcing your antivirus to ignore the potential danger, you are subjecting your computer data to the risk of infection. Consider that even a perfectly legitimate app or website can be compromised. Still want to do this? Let’s get started. 1. 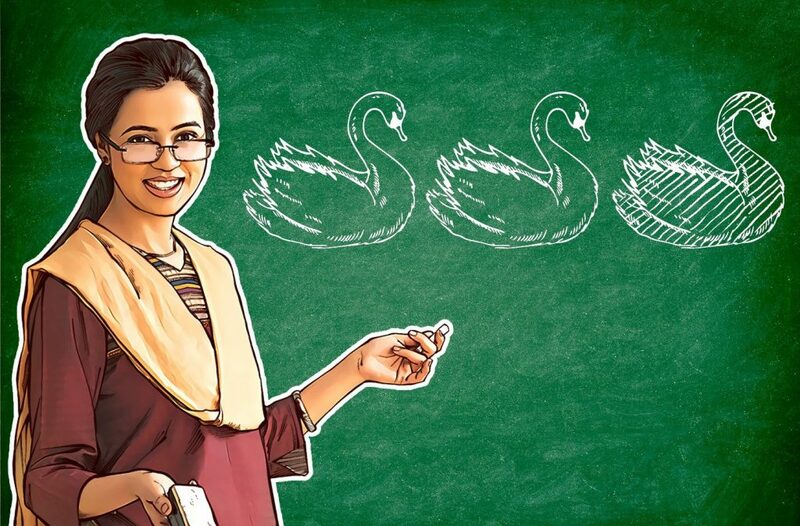 Open the settings Kaspersky Internet Security and choose Additional –> Threats and Exclusions. 2. Select Manage exclusions or Specify trusted applications. 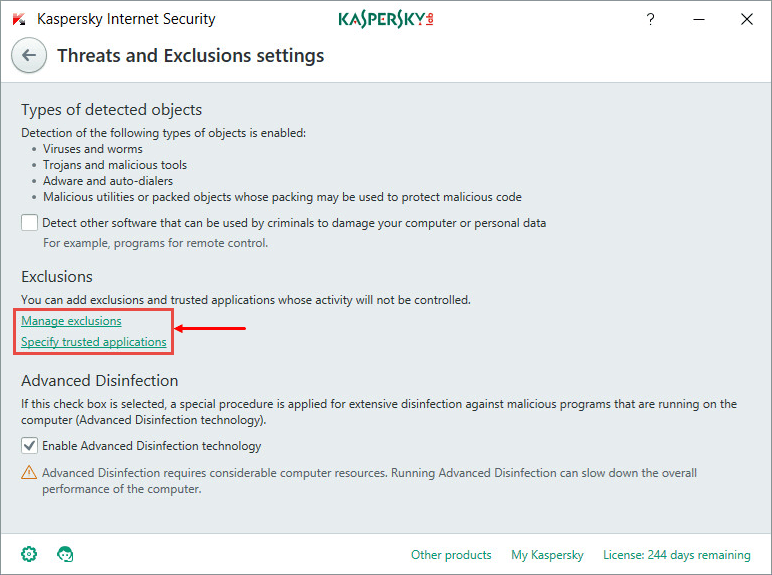 Select the file or application to exclude from the scan scope in Kaspersky Internet Security. Optionally, specify the protection component that should not scan the application. 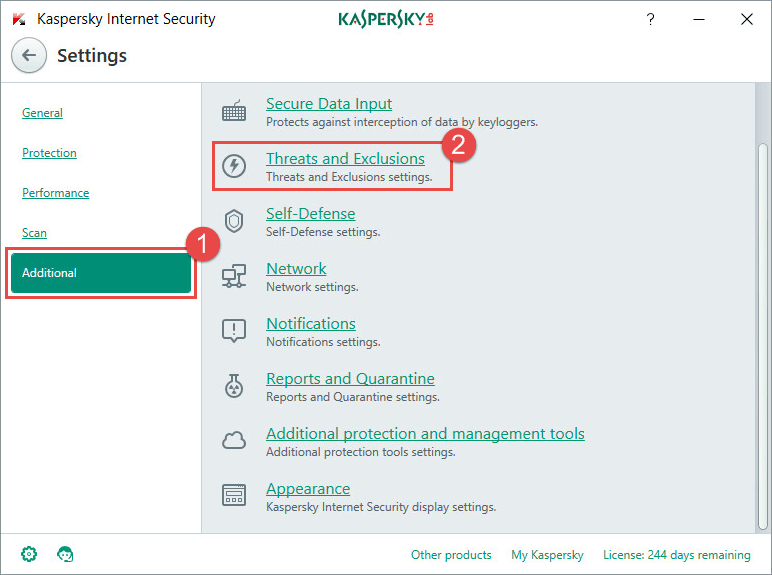 You can learn more about setting up exclusions in Kaspersky Internet Security in the Knowledge Base. 1. 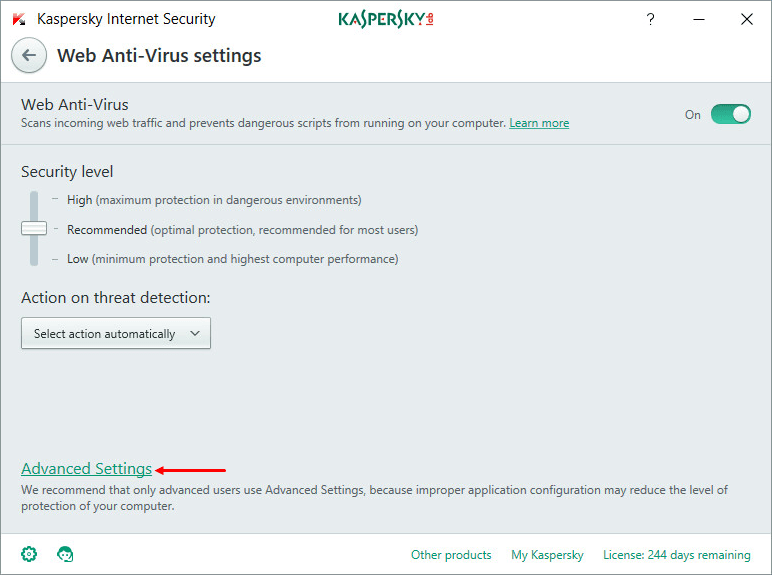 Open the settings in Kaspersky Internet Security and choose Protection –> Web Anti-Virus. 2. In the Web Anti-Virus settings window, select Advanced Settings. 3. 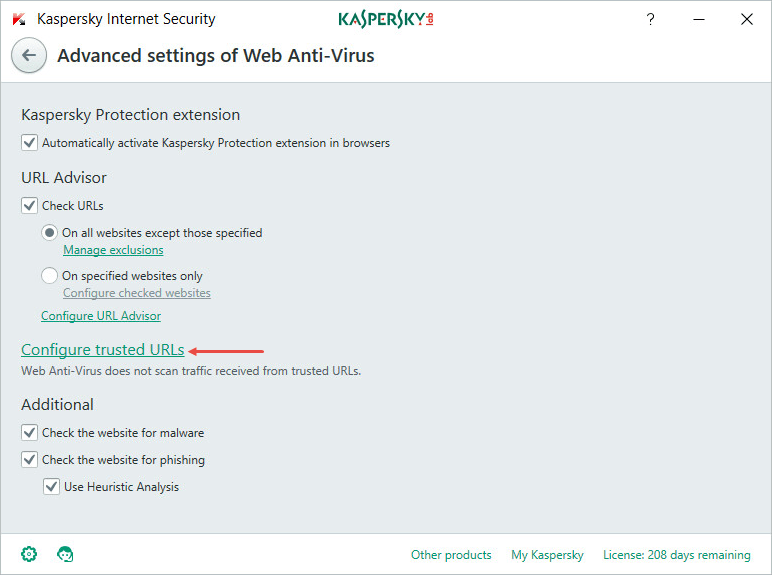 Click Configure trusted URLs and specify the link or links you want Kaspersky Internet Security not to check. 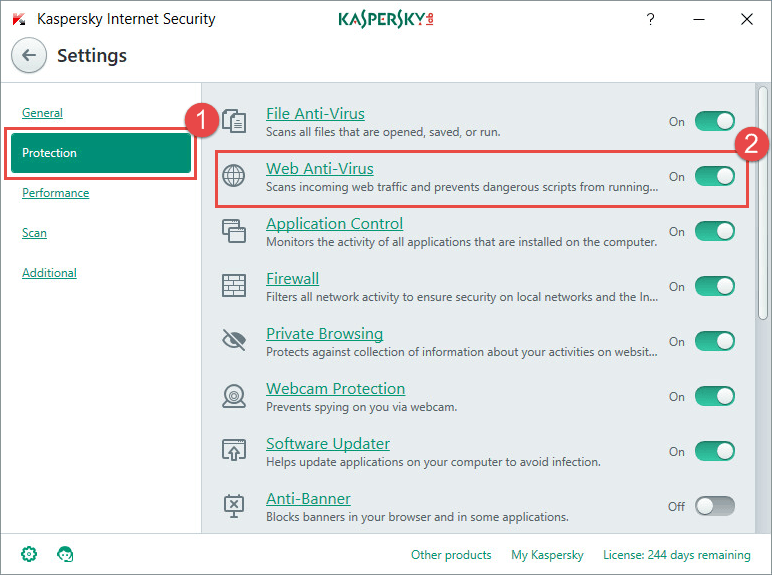 For more information, see the detailed article in our Knowledge Base devoted to checking Web pages for threats in Kaspersky Internet Security. Under no circumstances should you disable your antivirus if it prevents you from launching an application or visiting a link. If you are sure that the app or link is safe, then just add whatever is blocked to the list of exclusions; if you are not sure, then it might be better not to run that application or navigate to that link. Independent tests confirm that Kaspersky Internet Security has a very low false-alarm rate, so if it recommends you not do something, it has a good reason.